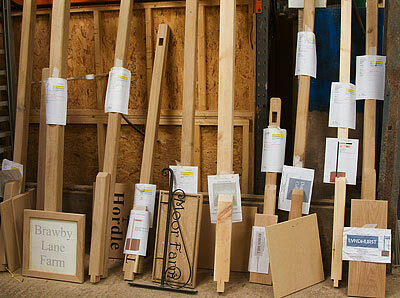 At our workshops in Devon we have a barn full of racks of timber in varying thickness and types. Here we create the wooden sign blanks. Anything from small wooden house signs to massive wood business signage. Click on the links below for ideas, information and prices. 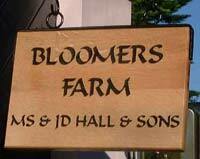 This is by far the most popular timber we use for house signs. The English oak has a majesty all of its own, with wonderful variations in grain, texture and colour and often small pin knots and burrs are an attractive feature. It is a heavy wood and is strong and durable. Providing it is maintained it will last a lifetime. 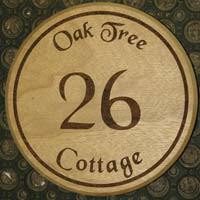 Our elegant range of wooden house signs is ideal for smaller signs or when fine detail is required. We can use delicate fonts and borders along with images with finer detail and even line drawings. We can also engrave the lettering as small as 10mm so these signs are ideal if several words are needed. 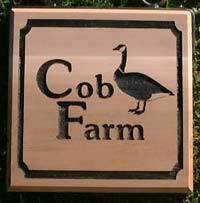 These lovely house signs or plaques are made in various sizes using Oak or Iroko. Iroko, similar to teak is a useful hardwood in that it is full of its own own. Oak is very beautiful but must be well maintained to stay looking at its best. 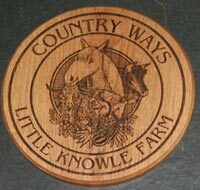 Wording and images are engraved into the wood using our latest laser technology. Larger letters can be painted if required. This lovely timber reddens when exposed to sunlight and the colour improves with age. These are very unusual signs and really do show the beauty of the grain. The letters are proud and the background is sand blasted away leaving the driftwood effect. Rustic timber slices make interesting house signs. Each piece of timber is different so each sign is individual. The bark is left on and the top surface is varnished. 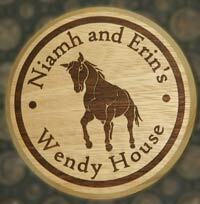 They are made in three sizes - approx 16" and 13" for house signs and 7" for house numbers. Douglas Fir is characterized by exceptional strength, hardness and durability. It is not only very tough but also water resistant, which makes it useful in exposed situations where maintenance is difficult. Its rich, lustrous, and variable reddish-brown colour give it a mahogany-like appearance. However unlike most mahoganies, Sapele has substantially less movement in service. It is also even harder than oak. Iroko is similar to teak in appearance and is imported from West Africa. It is an extremely dense and stable timber which is naturally oily and therefore highly durable and ideal for external signs. It is a timber which can be left untreated. Cedar has a high tannin content producing excellent weathering characteristic. The timber also has a very short grain resulting in minimal checking and warping. Extremely durable for many years of use. The timber can be oiled for a rich finish or left untreated to weather to a beautiful silver grey colour. 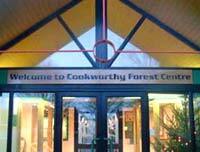 We use five timbers for the large signs - Oak, Red Cedar & Douglas Fir - each having particular advantages and disadvantages. All timbers are at least 1 inch 25mm thick. We can make boards up to almost any size. A page of pictures to give you ideas. We have a selection of post options along with wrought iron brackets.